In addition to the provisions of this Website Privacy Statement, there may also be specific and additional privacy and data protection provisions that apply to certain sections of this Website., or that apply to you if you are an employee, agent, contractor, or are otherwise employed by a member of the Lottery Group Manager (for example, provisions relating to your use of technology). Because those specific and additional provisions also relate to your privacy protection, we recommend that you review them wherever they appear. In the event of any inconsistency between the provisions of this Website Privacy Statement and those other specific and additional provisions, the specific and additional provisions will prevail. where a third party acquires or wishes to acquire, or makes inquiries in relation to acquiring, an interest in the Lottery Group Manager website. 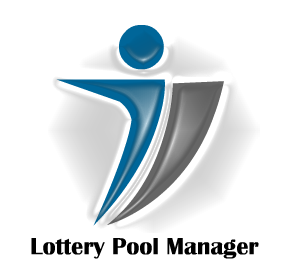 We may share personal data within the Lottery Group Manager and with third parties. The types of third parties to whom we may disclose that personal data includes our service providers who assist us in providing this Website and our products and services such as organizations who provide archival, auditing, professional advisory, debt collection, banking, marketing, advertising, mailhouse, delivery, recruitment, call center, technology, research, utility and security services. From time to time, this Website may allow you to register to use this Website or sections of it. If you are a registered user of this Website, you may be able to access and update the information on your profile in the applicable section of this Website, subject to any authentication and authorization considerations, which exist to protect your security.